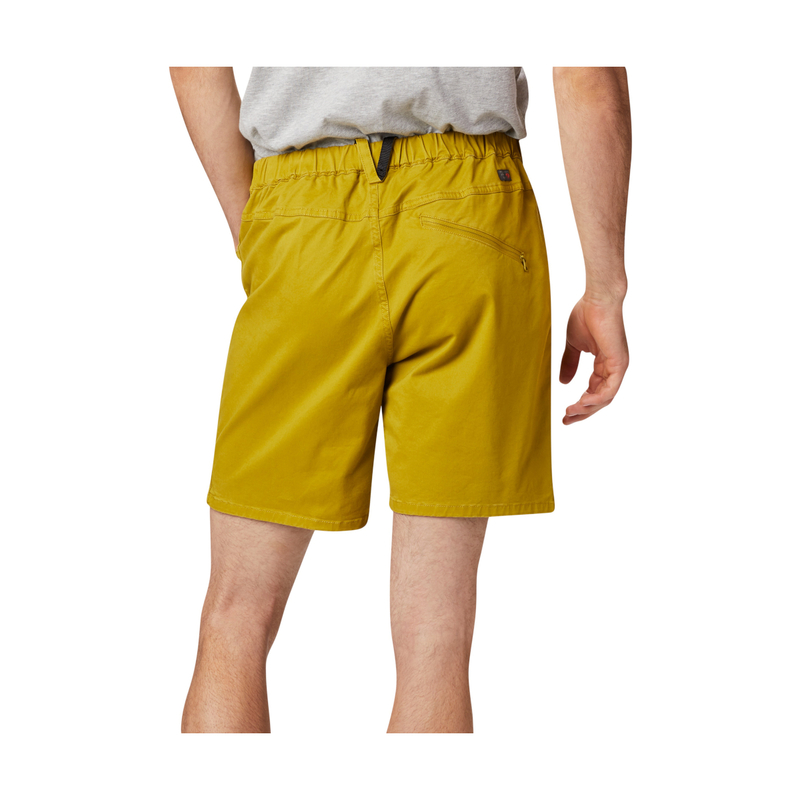 The Mountain Hardwear Men's Cederberg Pull On Short are comfortable and stretchy climbing shorts for days spent bouldering, projecting, and relaxing in between. 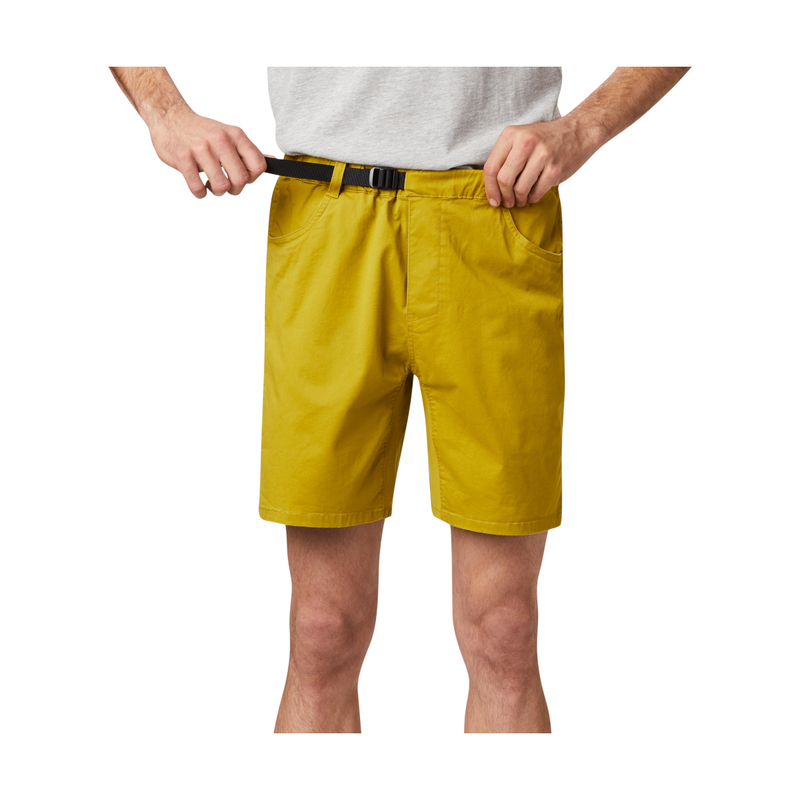 They're made from a soft and breathable cotton with elastane, articulated knees, and full gusset for free and easy movement on the rock. • Soft yet durable washed cotton with just a bit of stretch. 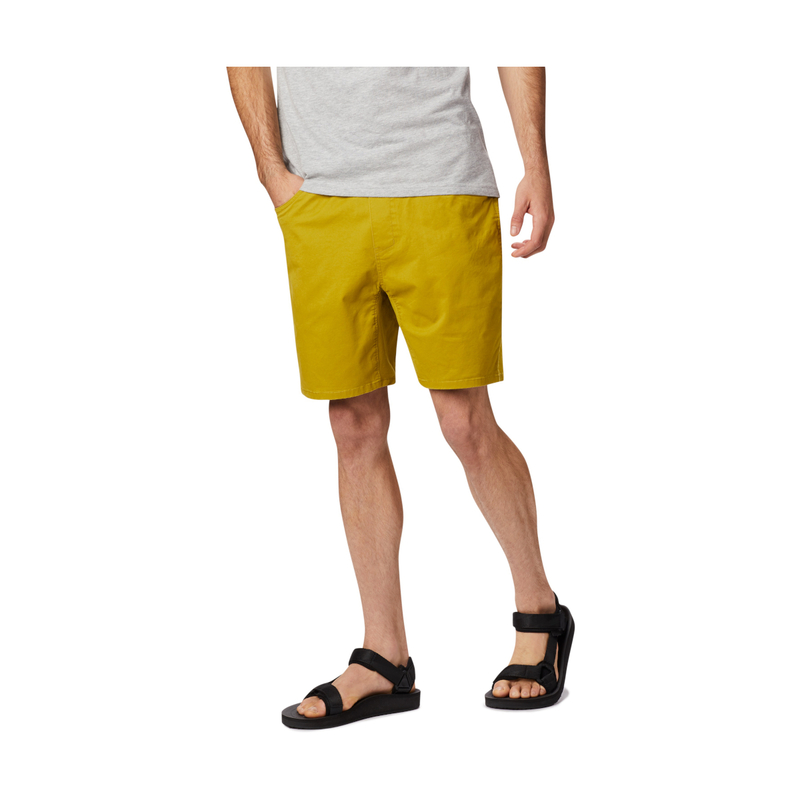 • Full gusset and harness-compatible construction. • Comfortable elasticised waist with adjustable cinch buckle.